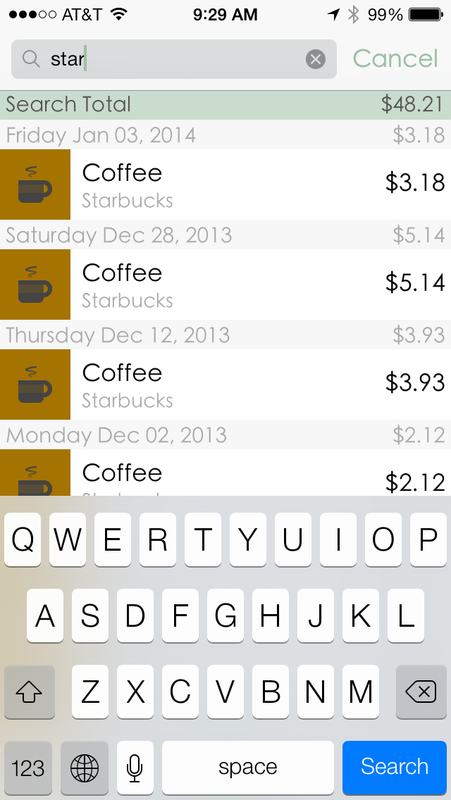 So I have once again been working on making Amounts the definitive expense tracker for iOS! The latest feature is full text search. This will allow you to find old transactions extremely quickly – you can search by category name or description. At the top of the search bar there is a header row that will give you the total of all the returned transactions. So if you want to see how much you spent at just Starbucks now you can! In a future update I will be adding some time based parameters so that you can look at just certain time periods like the previous week or month. But for now you can quickly get through your transactions. I also made a few speed optimizations – the main transaction list now doesn’t load all transactions by default, when you scroll to the bottom (Which should show around two to three months of transactions) you get the option to load all if you need to see older ones. I still have some big things planned for upcoming builds, so stay tuned!